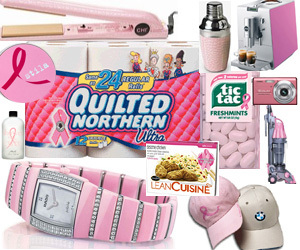 Reposted from our Think Before You Pink blog. Our staff follows a number of blogs that offer much-needed perspective on the breast cancer epidemic. Two of our favorite bloggers, Katie Ford Hall and Gayle Sulik, wrote brilliant posts this week that we wanted to share. “What GOOD is AWARENESS?? This is a crucial question for every organization that comprises the breast cancer movement, for every policy maker, organization, or program that allocates funding to cancer related projects, and for every individual who wants to see society’s efforts to deal with cancer result in better care, better treatment, reduced mortality, and reduced incidence. What GOOD is AWARENESS?? To answer this question, we must consider what awarenesscan do, what it does do, and what it does not do. At BCA, we’ve received a lot of flack for consistently speaking the truth about breast cancer- telling our members about the influence of corporate interests, the insufficient regulation of chemicals that contribute to the epidemic, and the social injustices that determine breast cancer outcomes. Part of what keeps us going is support from our membership, who assure us that our voice is a vital one. Please extend your support to these bloggers and let them know that their powerful words are appreciated! ← Tell President Obama to stop cancer before it starts! Awareness alone is useless. It must be part of a package that includes behavior change and support for behavior change, and environmental change. Awareness does nothing…I am aware of hundreds of diseases and horrible events but powerless to do much about them. Raising awareness that simply serves to increase the profits of the corporate sponsors is almost worse than useless..it suggests that something is happening when it is not, and hides the profit motive! What good is awareness… if the truth is not told. We need to inform our family and friends about the corporate sponsors who continually give large amounts of money to cancer societies and groups so that they in turn give care packages to cancer patients that contain the cosmetics and personal products which are toxic to our bodies. It’s not preventing cancer, it’s promotes it! Aren’t we aware enough? I’ve had breast cancer awareness shoved down my throat since I was a teenager as it was in my mothers’ magazines. It’s at the expense of other issues such as mental illness, migraines and chronic fatigue. The awareness isn’t about getting women to eat their greens and avoid chemicals in favour of bona fide natural products but to go for mammograms regularly and push for younger women to be mass screened as well. There are people campaigning for women to be screened from the age of 20. How ridiculous.